Holding a massive share of a market segment populated by tiny cars allows Kia the luxury of trying different concepts to fill out the Picanto range. 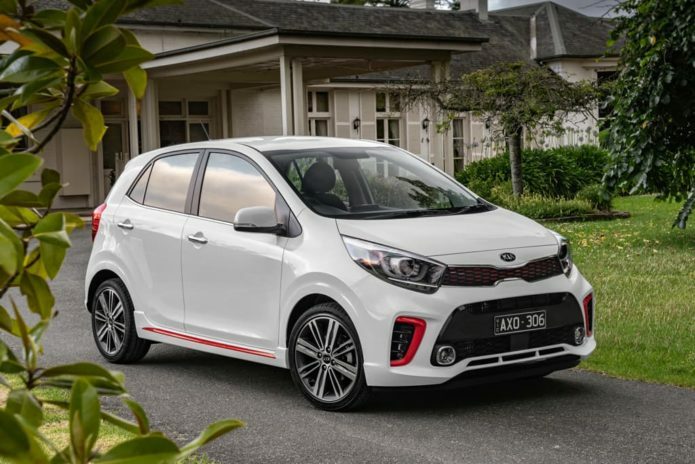 The latest is the Picanto GT, powered by a turbocharged three-cylinder ‘Kappa’ engine and driving the front wheels through a five-speed gearbox. For a price undercutting the cheapest Fiat 500 the Picanto GT produces over 50 per cent more power and around 70 per cent more torque. The Kia Picanto is steadily establishing itself as the sales champ in the local micro hatch segment. Last year, selling nearly 5400 cars, the Picanto more than doubled the combined sales figures of its direct rivals – the Fiat/Abarth 500, the now discontinued Holden Spark and the rather grim Mitsubishi Mirage.